Description: Light, the most natural gift and curse to the universe which could both give life and destroy it. A flame which takes no sides and answers to no other power. This flame changes color, and therefore heat, according to the way it is used as well as the effort put in via its user. It is thanks to Kusanagi that she can properly harness those flames and use them as she pleases. Long before humanity was brought into the universe, Amaterasu was taught the way of the sword by her brother Susano'o so that she may use her gift thoroughly. That is how this style was founded. And ultimately through patience, there is unlimited potential in power which is the essence of this magic. Description: Long ago there was an era of Kings and Warlords waging war against each other over kingdoms for many years. Warriors and sellswords were well paid and became idols. The way of the warrior was a common path youngsters attempted to walk, but in order to become a true warrior they had to travel through dangerous lands to find the Warrior Saint. An old entity that would look into a warrior's heart and deem it worthy of his blessing. It would grant the warrior more courage and willpower than the ordinary man in times of need. One day the Warrior Saint disappeared and the age of warriors was over. However, some believed that some heroes still possessed the Warrior Saint's blessing. They said that a true warrior worthy of the blessing is blessed by the Warrior Saint at birth. Destructive Impulses: Because this Magic is easily lethal even at a lower rank, she deals 50% more spell damage. Additionally, all melee is converted into spell damage. Universal Flame: Amaterasu's flames cannot be eaten by slayers of any type. Additionally, any natural source of light she consumes by mouth will replenish her MP by 20%; every time she does this, it will cost 5% of her current HP. Will of the Queen: Amaterasu's will is absolute, and as such, the magic within her is beyond what most mortals are capable of (+20% max MP). Void also has a 30% reduction in MP cost. Because of this, she no longer passively regenerates MP. 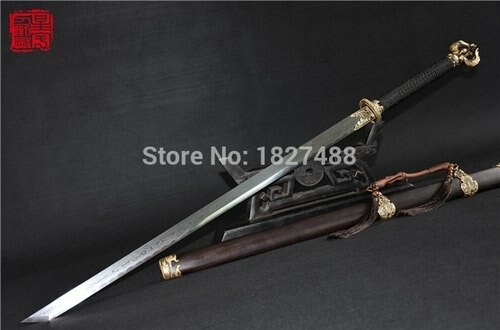 Description: Kusanagi, a mythical sword dating back into legend. This blade is the fourth true incarnation of the weapon and is Amaterasu's companion. 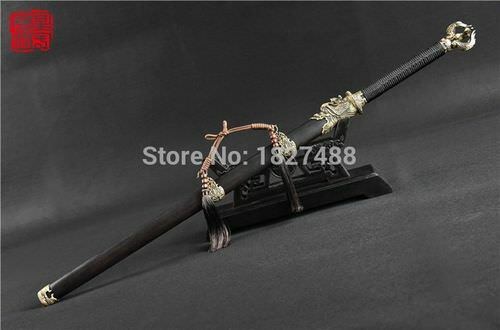 In a time and place not known to humanity, this weapon was presented as a gift to the Goddess by her brother, Susano'o, whom killed one of her vassals and did a number of other irresponsible deeds. The gift was meant to mend the wound that was dealt by the brother, which ultimately proved effective after some time was spent grieving the loss of her servant. After she was banished from the Heavens for what she did, Kusanagi was stripped from her and cast away somewhere on the human-infested planet of Earth. The blade itself is a staggering 48.74 inches in length and the handle is 14.77 inches in length, making it a total of 63.51 inches in length. The blade's width is 2.75 inches, and the handle's width is 3 inches. Kusanagi has weight proportionate to the divine strength the Goddess has regained. At her current rank (C), Kusanagi weighs 800 pounds. At B-class, its weight becomes 1,600 pounds. At A-class, its weight becomes 3,200 pounds. At S-class, its weight becomes 6,400 pounds. Lastly, at H-class, its weight becomes 12,800 pounds. The weapon's weight does not increase damage in PvP, but it does increase the force of her attacks with it. Due to the Magic imbued onto the weapon, spells used with it naturally deal 30% more damage. (B-rank: 35%, A-rank: 40%, S-rank: 50%); additionally, all spell MP cost are reduced by 20%. Due to Kusanagi having a will of its own, it can upon Amaterasu's command move about through the air without her controlling it. When moving independently, it gains 50% more Speed; when in hand, speed is increased by 25% (B-rank: 40%, A-rank: 50%). These buffs don't stack with each other. Drawback: Range at each rank cut in half, to increase speed at each rank. Description: This technique was earned from her brother, Susano'o, when she asked him to teach her the way of the samurai. The spell starts by returning Kusanagi to its sheath. Ethernano immediately begins to gather into the blade of the weapon. Whenever she wishes to release it, regardless of the position she's currently in, she moves almost instantaneously through her opponent and appears behind them with the blade already returning to its sheath, dealing user-ranked spell damage instantly. Drawback: Lowered range for increased speed. Description: While still in its sheath, Amaterasu places Kusanagi standing on the ground in front of her in perfect balance. In every conceivable direction, plant-life begins to seemingly decay, die and turn to ash. In reality, near-invisible black embers travel across the ground and through the air at high speed so it causes a delayed reaction. Every post this ability is active, all opponents must roll one dice. An even number means they avoid damage from this ability for that turn; rolling an odd number means taking user ranked spell damage. In jobs, there is no limit to the number of NPC targets. Additionally, while active, an "avatar" of the weapon takes the original's place so that Void can continue to use Kusanagi as normal. Slayers cannot eat this fire; only healing spells one rank higher than this ability can reverse its damage. Description: Kusanagi is thrown into the air and becomes a gigantic ball of pure sunlight. Then, Amaterasu teleports into the ball and as it dissipates, what is revealed is her in her original divine form. For 5 posts, she commands the intense heat of the Sun with the weapon; damage inflicted with the weapon in this form is increased by 50% and inflicts fire-based ailments. Spells used while in this form cause a DoT effect (deals half spell-ranked damage each post after initial contact) that burns targets for 3 posts regardless of the opponents' rank(s). *In socials and outside of combat, this form can be used freely without the MP cost. Description: Kusanagi is engorged in pure white flame, which is all in the blade. The heat radiating from it can easily melt normal clothes off from meters away. Void raises the weapon above her head and then brings it downward with such force that it sunders the ground and steam rises from the soil. The shock wave emitted from the slash travels forward, melting soil and stone alike. Description: Amaterasu moves with precision and grace, gliding from place to place as though she were teleporting. In combat, this is just an extremely swift movement which can be used consecutively. Out of combat, it can be used freely with no range restrictions. Drawback: Zero damage and reduced range for altered duration. Description: Void says "up" and erected in front of her is a 15x15 meter wall of natural flame which can protect her and allies from at most two D-rank spells or one C-rank spell. If the opposing spell(s) is/are fire-based, the number of spells that can be blocked is four D-ranks, two C-ranks or one B-rank. Description: In essence, this is a simple horizontal slash with her blade Kusanagi. It looks like a crescent which travels extremely fast in one direction. Description: In essence, this is a simple diagonal slash with her blade Kusanagi. It looks like a crescent which travels extremely fast in one direction. Downside: Zero range for increased speed. 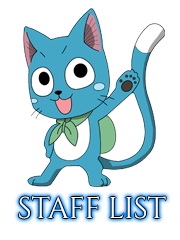 Description: This spell must be combo'd off of "Gentle step" to be used properly. Imbuing her weapon with black flame, Amaterasu glides around her target as if pivoting in a single motion and slashes from every conceivable direction, leaving deep cuts and second-degree burns in the affected areas. Using gentle step, she is able to move in and away swiftly from her target and return Kusanagi to its sheath all by the time said wounds appear on their body. Description: Upon her health reaching 25% of maximum, this spell is consciously activated. It will instantly recover 50% of Amaterasu's maximum HP; this can be used three times per thread. Downside: Halved range for increased speed. Description: Invented solely by Amaterasu, she inserts her dominance into the blade and thus both its sharpness and its flame become more wild. Her presence becomes enlarged and strikes fear into her opponent just before she moves to strike. She unsheathes the weapon and almost darts through to the opposite side of her target, leaving a grotesque and charred wound in the rib area. Bumping this now, as it has been a couple of days! I'm Marceline Anicetus, famously known as Marcy or Marshy to the serving members of FTRP, so feel free to call me either of those. I'll be the one grading your magic application for the day, so if you have any questions, concerns, or comments about it, please direct them toward me. 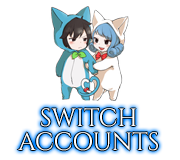 I hope that you have been having a good day so far, and let's see if we can get this magic application approved within the day! Anything in this color is a requested or suggested change to your magic application. You may contact me via Skype at secret_sorrow or privately messaging (PMing) me here on the site. Description: This is an extremely powerful Magic which gives the user the ability to smash everything they come into contact with. If the user is unfocused, they may destroy objects such as houses unintentionally. Where this deviates from its original counterpart is how it can be used. This particularly rare type of Crash Magic can be used without having to make contact with an object, though it has a set range. It can also be used by a weapon, and the Magic's properties change depending on the weapon used. Crash has various offensive and defensive properties. Using its inherent nature of being able to crush anything it comes into contact with, the user is able to nullify the effects of certain Magics by smashing them to pieces. By imbuing their fist with Crash, the user is able to send an enemy flying numerous meters with incredible force. It is also capable of being fired as a burst of energy at the opponent. This Magic can also be utilized effectively as a defensive means. For example, by crushing the ground underneath them, the user is able to create a cushion of sorts against enemy attack. It is also possible for Crash to be used as a deflective barrier, sending an assailant flying backwards when they come into contact with it. Can be used with a weapon, and its properties change depending on type of weapon Depending on what you choose (Caster or Holder), you'll want to either remove or edit this accordingly. Has a maximum range of 30 meters no matter a spell's rank, if used without direct contact This is a rather unnecessary nerfing, so I'd like for this to be removed/changed to something else. Due to the natural lethality of this Magic, it cannot maim or kill a PC without that member's consent. Additionally, when fighting PCs, spells that would normally cause flesh to "crash" deal blunt damage unless said express permission is given. Destructive Impulse: This ability allows Void to crash spells What exactly does "crashing a spell" mean? , even those with elemental properties. Additionally, because this Magic is easily lethal even at a lower rank, she deals an additional .5x damage to anyone whom she deems "unnecessary". A Fallen's Haste: Her size, slenderness, and inhuman birth make her faster in all forms of Speed. This is increased by 30%. Divine Strength: As a fallen demigod, Void has an impressive amount of strength that grows upon each succeeding rank. At D-rank, Void is capable of lifting two times her own weight in each hand. Upon reaching C-rank, she becomes capable of lifting four times her own weight in each hand. Attaining B-rank makes her capable of lifting up to six times her own weight in each hand. A-rank enables her to lift up to ten times her own weight in each hand. Upon reaching S-rank, Void can lift up to fifteen times her own weight in each hand, and lastly upon reaching H-rank, she can lift up to twenty times her own weight in each hand. Additionally, at each rank, if using both hands, she can lift double the amount that is stated. Description: Void uses either hand to swipe horizontally, as in a backhanded slap, and hits up to three targets within a 15-meter range (and 10-meter width) in front of her. This spell deals blunt damage (to Player Characters) and can destroy objects (not counted as targets) within range, plus deconstruct a spell equal to the user's rank or lower, though it will count as a target. It will also cause a light 3-meter knockback to opponents equal to the user's rank. This is a very busy spell for a D rank magic. I'd like for you to pick between the deconstruction of a spell and the 3-meter knockback. Description: Void crashes the air in front of her to create a temporary barrier (6 meters wide and 5 meters tall) that can deconstruct up to 2 D-rank spells if they are launched at the same time, or it can deconstruct 1 C-rank spell. In terms of spells that are physical-based, it deconstructs the magic power in it and knocks the opponent(s) back What is the knockback range? while dealing user-ranked damage. Description: Void charges magic power into her right or left fist and throws a simple straight punch that shoots a compressed beam (4 meters wide and travels up to 15 meters) of Crash Magic. This spell deals blunt damage (to Player Characters) equivalent to the user's rank and causes light 3-meter knockback. Description: Void shouts (anything) loudly and causes a large blast (10x10 meter square) that can hit multiple enemies, targets, etc. at once please specify how many opponents can be affected total. It travels up to 15 meters and deals blunt damage (to Player Characters) equivalent to the user's rank while also dealing light knockback (3 meters). Edits have been made, Marcy! For Destructive Impulse, I'm going to ask that you state Void can only destroy spells equal to or lower in rank to her. Higher ranked spells can have their damage reduced, but will still land. In which case, I'd also like a cool down to prevent the abuse of negating spells lower ranked than Void. Just as a note, the list code for Shout's strengths and weaknesses is messed up. Destructive Impulse: This ability allows Void to destroy spells that have elemental properties (this portion of the UA can only nullify spells of equal or lower rank than the user; can be used 4 times per thread). Additionally, because this Magic is easily lethal even at a lower rank, she deals an additional .5x damage to anyone whom she deems "unnecessary". Description: Void uses either hand to swipe horizontally, as in a backhanded slap, and hits up to three targets within a 15-meter range (and 10-meter width) in front of her. This spell deals blunt damage (to Player Characters) and can destroy objects (not counted as targets) within range, plus deconstruct a spell equal to the user's rank or lower, though it will count as a target. Description: Void crashes the air in front of her to create a temporary barrier (6 meters wide and 5 meters tall) that can deconstruct up to 2 D-rank spells if they are launched at the same time, or it can deconstruct 1 C-rank spell. In terms of spells that are physical-based, it deconstructs the magic power in it and knocks the opponent(s) back up to 3 meters (depending on how fast the opponent(s) is/are moving) while dealing user-ranked damage. Description: Void charges magic power into her defending hand and throws a simple straight punch that shoots a compressed beam (4 meters wide and travels up to 15 meters) of Crash Magic. She can alternatively charge magic power into her sword to achieve the same effect. This spell deals blunt damage (to Player Characters) equivalent to the user's rank and causes light 3-meter knockback. Description: Void shouts (anything) loudly and causes a large blast (10x10 meter square) that can hit multiple enemies, targets, etc. at once (up to 5 enemies and random objects or surfaces aren't included as enemies/targets). It travels up to 15 meters and deals blunt damage (to Player Characters) equivalent to the user's rank while also dealing light knockback (3 meters). Destructive Impulses: Because this Magic is easily lethal even at a lower rank, she deals an additional .5x user-ranked damage to anyone whom she deems "unnecessary". Amaterasu's Grace: Her size, slenderness, and inhuman origin make her faster in all forms of Speed. This is increased by 50%. 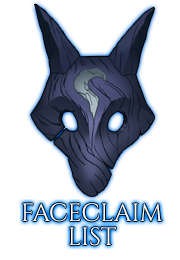 Divine Strength (PvE Only): As a fallen demigod, Void has an impressive amount of strength that grows upon each succeeding rank. At D-rank, Void is capable of lifting three times her own weight in each hand. Upon reaching C-rank, she becomes capable of lifting six times her own weight in each hand. Attaining B-rank makes her capable of lifting up to ten times her own weight in each hand. A-rank enables her to lift up to fifteen times her own weight in each hand. Upon reaching S-rank, Void can lift up to twenty times her own weight in each hand, and lastly upon reaching H-rank, she can lift up to thirty times her own weight in each hand. Additionally, at each rank, if using both hands, she can lift double the amount that is stated. Will of the Queen of Gods: Amaterasu's will is absolute, and as such, the magic within her is beyond what most mortals are capable of (+25% MP). Additionally, this increase to her MP pool makes her incapable of MP regeneration UNTIL her MP falls below 50%. Change to a +15% MP gain please. Description: Void charges her Magic through Kusanagi and proceeds to conduct a series of quick and powerful slashes that lock up to 5 targets in place, if they are equal to or lower than her rank. The spell deals a total of full C-rank spell damage, plus an amount equal to a single C-rank melee+weapon attack. This spell has an effective range of 20 meters and each slash is 3 meters in length; there are a total of eight slashes in this spell which total the previously-stated amount. If the first hit connects, the spell can lock up to five targets in place for the remainder of the spell's slashes. Description: Being an omnipotent being, Void is capable of traveling where she pleases almost instantaneously. In combat, her concentration is limited to traveling only a small distance. When traveling with this spell outside of combat, at least 100 words must be dedicated to actually moving from place to place. Up to five other people can move with Amaterasu. Description: In essence, this is a simple horizontal slash with her blade Kusanagi. The blade naturally has infused in it the power of Amaterasu's Crash magic so it naturally deals more damage than a slash from a normal weapon. The slash travels 25 meters and is 10 meters long. The slash itself bears no shape and looks like a rip in the space in front of her as it shoots forward at the force she swings the blade. It deals full C-rank damage, plus an additional amount equal to a single C-rank melee+weapon attack. Remove the melee damage aspect please. Description: In essence, this is a simple diagonal slash with her blade Kusanagi. The blade naturally has infused in it the power of Amaterasu's Crash magic so it naturally deals more damage than a slash from a normal weapon. The slash travels 25 meters and is 10 meters long. The slash itself bears no shape and looks like a rip in the space in front of her as it shoots forward at the force she swings the blade. It deals full C-rank damage, plus an additional amount equal to a single C-rank melee+weapon attack. Remove the melee damage aspect. Description: With her left hand, Void expels a large shield-like wall of Crash magic toward her opponents as an offensive spell. The spell has a range of 30 meters and a radius of 15 meters. When it shoots from Void's hand, it is shaped like half a circle; it deals full C-rank spell damage upon impact of all who get hit by it. Its range and size give it enough power to push back any opponents who are equal to or lower in rank than her. Will of the Queen of Gods: Amaterasu's will is absolute, and as such, the magic within her is beyond what most mortals are capable of (+25% MP). Additionally, this increase to her MP pool makes her incapable of MP regeneration UNTIL her MP falls below 50%. Additionally, Amaterasu has no regenerative capabilities. She lost the power to do that when she fell from her graces. If she receives healing from an outside source, only the initial heal will be effective, and any regenerative effects that follow will do nothing. Description: In essence, this is a simple horizontal slash with her blade Kusanagi. The blade naturally has infused in it the power of Amaterasu's Crash magic so it naturally deals more damage than a slash from a normal weapon. The slash travels 25 meters and is 10 meters long. The slash itself bears no shape and looks like a rip in the space in front of her as it shoots forward at the force she swings the blade. It deals full C-rank spell damage. Description: In essence, this is a simple diagonal slash with her blade Kusanagi. The blade naturally has infused in it the power of Amaterasu's Crash magic so it naturally deals more damage than a slash from a normal weapon. The slash travels 25 meters and is 10 meters long. The slash itself bears no shape and looks like a rip in the space in front of her as it shoots forward at the force she swings the blade. It deals full C-rank spell damage. Its true form isn't revealed until it is pulled entirely from the scabbard; its length/size and weight are still retained however, so it is normally carried on one of her shoulders. 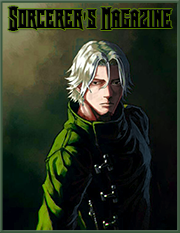 Description: Kusanagi, a mythical sword dating back into legend. 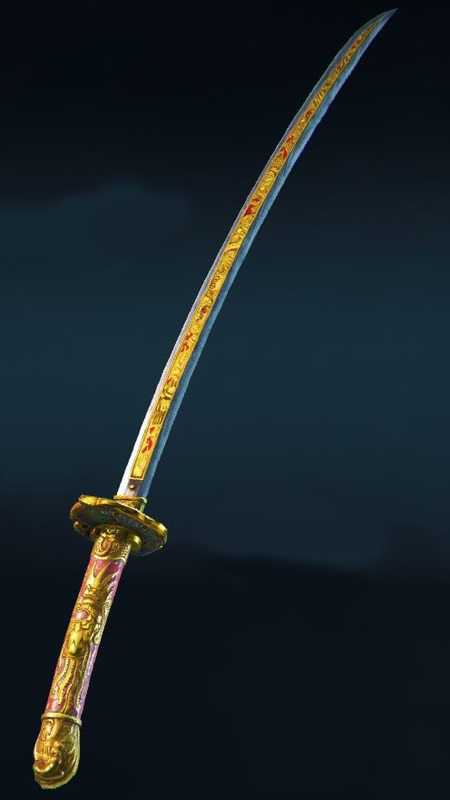 This katana is the fourth true incarnation of the weapon and is Amaterasu's companion. 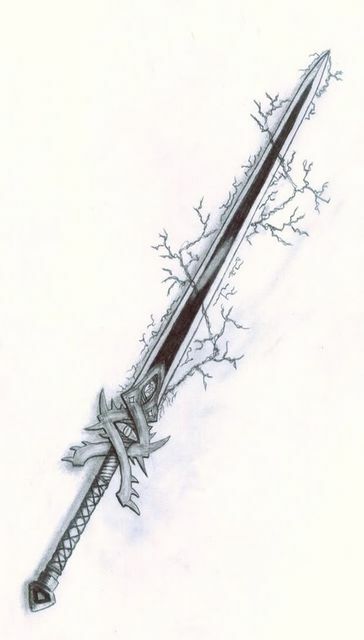 In a time and place not known to humanity, this blade was presented as a gift to the Goddess by her brother, Susano'o, whom killed one of her vassals and did a number of other irresponsible deeds. The gift was meant to mend the wound that was dealt by the brother, which ultimately proved effective after some time was spent grieving the loss of her servant. After she was banished from the Heavens for what she did, Kusanagi was stripped from her and cast away somewhere on the human-infested planet of Earth. The blade itself is a staggering 93 inches in length and the hilt is 22 inches in length, making the sword a total of 115 inches in length. The hilt's width is equal to the blade's center depth; the blade's center depth is 8 inches. The blade's width from sharp edge to sharp edge is 12 inches. Kusanagi has weight proportionate to the divine strength the Goddess has regained. At her current rank, Kusanagi weighs 790 pounds. At B-class, its weight becomes 1,350 pounds. At A-class, its weight becomes 2,050 pounds. At S-class, its weight becomes 2,750 pounds. Lastly, at H-class, its weight becomes 4,150 pounds. The weapon's weight does not increase damage in PvP, but it does increase the force of her attacks with it. Kusanagi gives Amaterasu complete mastery over her Magic, which means she can manipulate it, and the weapon itself, in many ways without having to make them into spells. Kusanagi allows Void to attack from a distance of 25 meters per rank with her basic Magic and melee. The blade's sharpness, combined with Amaterasu's magic imbued upon it, making it capable of cutting through magic-enhanced metals and any other ultra strong substances. Its weight makes it impossible to be used properly by anyone other than Amaterasu. Being a sword meant to be purely for destroying its master's enemies, it cannot be used to intentionally block incoming spells. Swinging Kusanagi too hard will throw Amaterasu slightly off balance and thus potentially destroy more than intended. Kusanagi has a will of its own and does not discriminate between friend and foe. Both she and any others along with her must be wary. Description: Amaterasu gathers ethernano into Kusanagi and infuses said ethernano with her Magic. Due to this gathering of energy, the weapon grows vastly in size [at current rank it grows to 25 meters long and 12 meters wide from one sharp edge to the other] and has to be wielded with both hands. When growth is completed, the blade gains a white flame-like aura around it due to the condensed amount of Crash magic-infused ethernano gathered into it. Amaterasu then teleports into the air with Kusanagi brought above her head and then brings it straight down to the ground upon her foes, instantly dealing 125% of the current spell rank's damage. If the weapon is charged long enough, it gains an additional 50% damage for a total of 175%. The impact alone is devastating to a single foe, but it can also just as easily wipe out mobs of enemies lower in rank than her. The spell is on a gigantic scale, so it can be easily seen coming and can be dodged if the opponent is fast enough to jump out of range. Can harm allies if they are caught in the area. Description: This technique was earned from her brother, Susano'o, when she asked him to teach her the way of the samurai. The spell starts by returning Kusanagi to its sheath, which means it reverts back to its disguised katana form. As soon as the transformation completes, ethernano immediately begins to gather into the blade of the weapon. Then she lowers slightly into a traditional Iaijutsu position, with her right hand on the top side of the hilt. Whenever she wishes to release it, she teleports directly in front of the target, slashes across the target and then immediately afterward a couple meters behind said target while slowly returning Kusanagi to its sheath. If charged, on contact it instantly deals 175% current spell rank damage. Its blinding speed makes this spell nearly impossible to dodge unless the opponent is of a higher rank than the user. Most effective against only a single target and greatly loses effectiveness against multiple targets. Will cause her teleportation signature spell to go into a two-post cooldown due to using it more than once without a brief reprieve in between. Description: This spell is performed as a sword dance. It begins with Kusanagi in her hand. She swings it into various positions via swift but fluid movements and eventually the weapon leaves her hand and begins to dance around her position. Over a short period of time, Kusanagi gains enough speed to form a sphere around the Goddess that has a diameter of 10 meters. Once the sphere is finished, the weapon returns to Amaterasu's hand which causes the sphere to explode outward that blows apart everything in the explosion's path, dealing full user-ranked spell damage to all enemies directly hit by the explosion plus an additional 50% when charged. The explosion travels a total distance of 25 meters in every conceivable direction, hence the spell's name. Can nullify spells of the same rank or lower, regardless of the spell's element(s) on top of the damage it deals to enemies caught in it. Can be dodged if the opponent(s) is/are quick enough to react and back away out of range. Amaterasu cannot move outside of the sphere until the explosion has activated. Description: Kusanagi is thrown into the air and becomes a gigantic ball of pure sunlight. Then, Amaterasu teleports into the ball and as it dissipates, what is revealed is her in her original divine form. For 5 posts, she commands the intense heat of the Sun with the weapon; damage inflicted with the weapon in this form adds 25% to all damage and inflicts fire-based ailments. Spells used while in this form cause a DoT effect (deals half user-ranked damage each post after initial contact) that burns targets for 3 posts regardless of the opponent's rank. In socials and outside of combat, this form can be used freely as a means of proving she is whom she she says she is. Heat and light naturally radiate from her in this form, along with a feeling of inner peace. In this form, Kusanagi weighs its full amount which means that her rate of attacking with it is slower and harder to control. Fire-based attacks are naturally weak against water-based attacks. Her attacks now being so widespread, the chances of her harming allies are astronomically higher. Allies must be very cautious. In this form, Amaterasu is limited to attacking with Kusanagi and using up to A-class spells. Destructive Impulses: Because this Magic is easily lethal even at a lower rank, she deals 50% more damage overall to anyone whom she deems "unnecessary". Divine Strength: As a fallen demigod, Void has an impressive amount of strength that grows upon each succeeding rank. At D-rank, Void is capable of lifting three times her own weight in each hand. Upon reaching C-rank, she becomes capable of lifting six times her own weight in each hand. Attaining B-rank makes her capable of lifting up to ten times her own weight in each hand. A-rank enables her to lift up to fifteen times her own weight in each hand. Upon reaching S-rank, Void can lift up to twenty times her own weight in each hand, and lastly upon reaching H-rank, she can lift up to thirty times her own weight in each hand. Additionally, at each rank, if using both hands, she can lift double the amount that is stated. 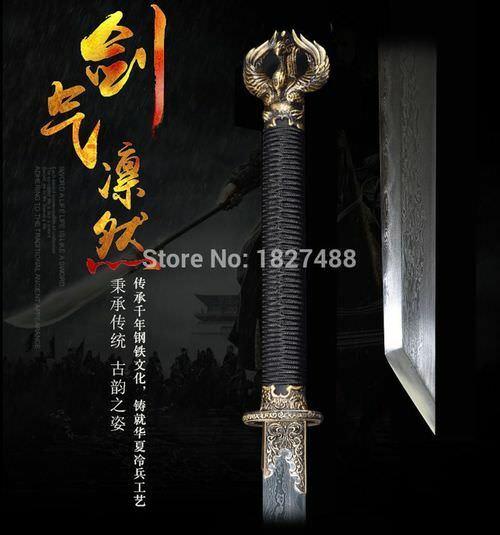 Description: Kusanagi, a mythical sword dating back into legend. This blade is the fourth true incarnation of the weapon and is Amaterasu's companion. In a time and place not known to humanity, this weapon was presented as a gift to the Goddess by her brother, Susano'o, whom killed one of her vassals and did a number of other irresponsible deeds. The gift was meant to mend the wound that was dealt by the brother, which ultimately proved effective after some time was spent grieving the loss of her servant. After she was banished from the Heavens for what she did, Kusanagi was stripped from her and cast away somewhere on the human-infested planet of Earth. The blade itself is a staggering 38.74 inches in length and the handle is 25.77 inches in length, making it a total of 64.51 inches in length. The blade's width is 2.75 inches, and the handle's width is 3 inches. Kusanagi has weight proportionate to the divine strength the Goddess has regained. At her current rank, Kusanagi weighs 790 pounds. At B-class, its weight becomes 1,350 pounds. At A-class, its weight becomes 2,050 pounds. At S-class, its weight becomes 2,750 pounds. Lastly, at H-class, its weight becomes 4,150 pounds. The weapon's weight does not increase damage in PvP, but it does increase the force of her attacks with it. Due to the Magic imbued onto the weapon, it - and spells used with it - naturally deals 50% more damage. Additionally, when colliding with armor or a defensive spell, Kusanagi will pierce through up to 25% of their defensive capabilities (Current: 10%). Due to Kusanagi having a will on its own, it can upon Amaterasu's command move about through the air without her controlling it. When moving on its own, it gains +50% Speed. Description: This technique was earned from her brother, Susano'o, when she asked him to teach her the way of the samurai. The spell starts by returning Kusanagi to its sheath. Ethernano immediately begins to gather into the blade of the weapon. Then she lowers slightly into a traditional Iaijutsu position, with her right hand on the top side of the hilt. Whenever she wishes to release it, she teleports directly in front of the target, slashes across the target and then immediately afterward teleports a couple of meters behind said target while slowly returning Kusanagi to its sheath. As long as her opponent is within 30 meters of her current position, the spell can accurately activate. If charged, on contact it instantly deals 150% current spell rank in damage. Description: This spell is performed as a sword dance. It begins with Kusanagi in her hand. She swings it into various positions via swift but fluid movements and eventually the weapon leaves her hand and begins to dance around her position. Over a short period of time, Kusanagi gains enough speed to form a sphere around the Goddess that has a diameter of 30 meters. Once the sphere is finished, the weapon returns to Amaterasu's hand which causes the sphere to explode outward, which blows apart everything in the explosion's path, dealing 50% of user-ranked spell damage to all enemies directly hit by the explosion plus an additional 25% if/when charged. The explosion travels a total distance of 50 meters in every conceivable direction at a rate of 40 m/s, hence the spell's name. Description: Void charges her Magic through Kusanagi and proceeds to conduct a series of quick and powerful slashes that lock up to 5 targets in place, if they are equal to or lower than her rank. The spell deals a total of full C-rank spell damage, 20% per slash. This spell has an effective range of 20 meters and each slash is 3 meters in length; there are a total of 5 slashes in this spell which total the previously-stated amount. If any slashes connect, the spell can lock whatever's hit in place for the remaining amount. Description: Void uses either hand to swipe horizontally, as in a backhanded slap, and hits up to three targets within a 30-meter range (and 10-meter width) in front of her. This spell deals blunt damage (to Player Characters) and can destroy objects (not counted as targets) within range, plus deconstruct a single spell equal to the user's rank or lower, though it will count as a target. Description: Void charges magic power into her defending hand and throws a simple straight punch that shoots a compressed beam (4 meters wide and travels up to 15 meters) of Crash Magic. She can alternatively charge magic power into her sword to achieve the same effect. This spell deals blunt damage (to Player Characters) equivalent to the spell's rank and causes light 3-meter knockback. Description: Void shouts (anything) loudly and causes a large blast (10x10 meter square) that can hit multiple enemies, targets, etc. at once (up to 5 enemies; random objects or surfaces aren't included as enemies/targets). It travels up to 50 meters and deals blunt damage (to Player Characters) equivalent to the spell's rank while also dealing light knockback (3 meters). Howdy-do Void! I'm Ahote and I'll be grading your magic today. All edits will be in this spicy color. Bump when edited. Magic Type: Holder Please review the solitary benefit options for Holder Magic in the Magic and Spell Rules and note which you have selected here. Destructive Impulses: Because this Magic is easily lethal even at a lower rank, she deals 50% more spell damage. Additionally, all melee is converted into spell damage. Please remove the last part of this passive, "Additionally, all melee is converted into spell damage." Universal Flame: Amaterasu's flames cannot be eaten by slayers of any type. Additionally, any natural source of light she consumes by mouth will replenish her MP by 20%; every time she does this, it will cost 5% of her current HP. Consumption of elements and restoring MP as a result is strictly reserved for slayers. The entire passive must be removed or changed, sorry! Duration: Persists until it has blocked the amount of spells listed below add a concrete duration, which is three at max. It cannot be indefinite but can be increased with appropriate downsides. Description: Void says "up" and erected in front of her is a 15x15 meter wall of natural flame which can protect her and allies from at most two D-rank spells or one C-rank spell. If the opposing spell(s) is/are fire-based, the number of spells that can be blocked is four D-ranks, two C-ranks or one B-rank. Defensive spells may only take two spells of their rank or three if the magic is based purely on defense. Please change this. 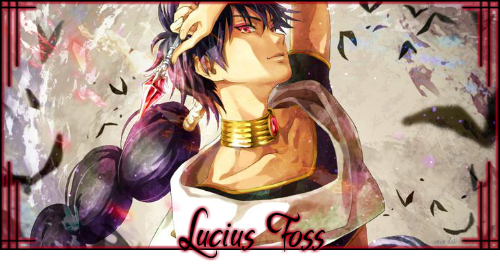 Description: Upon her health reaching 25% of maximum, this spell is consciously activated. It will instantly recover 50% of Amaterasu's maximum HP; this can be used three times per thread. Healing can only be increased through healing buffs. This spell would only heal a B-rank single target's worth of healing in a single post. Description: Invented solely by Amaterasu, she inserts her dominance into the blade and thus both its sharpness and its flame become more wild. Her presence becomes enlarged and strikes fear into her opponent just before she moves to strike. Does striking fear into their opponent stun them? She unsheathes the weapon and almost darts through to the opposite side of her target, leaving a grotesque and charred wound in the rib area.